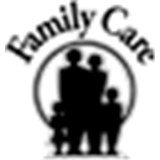 Stone Mountain Family Medicine (Stone Mountain) - Book Appointment Online! Welcome to Stone Mountain Family Medicine where we have provided comprehensive family medical care to the community over 20 years. We now have a second location to better serve you. Please visit our state of art facility in Duluth, GA. We offer family health care and treat all age groups.